I HAD to blog v quickly about this…. Once I’d instagramed it (natch) I ripped it open to find this wrapped up in tissue paper along with a press release detailing the new shades. This is literally up there in terms of sheer excitement level with the time I stood next to Downton’s Lady Edith in a bar in LA! I know, I really should get out more….. 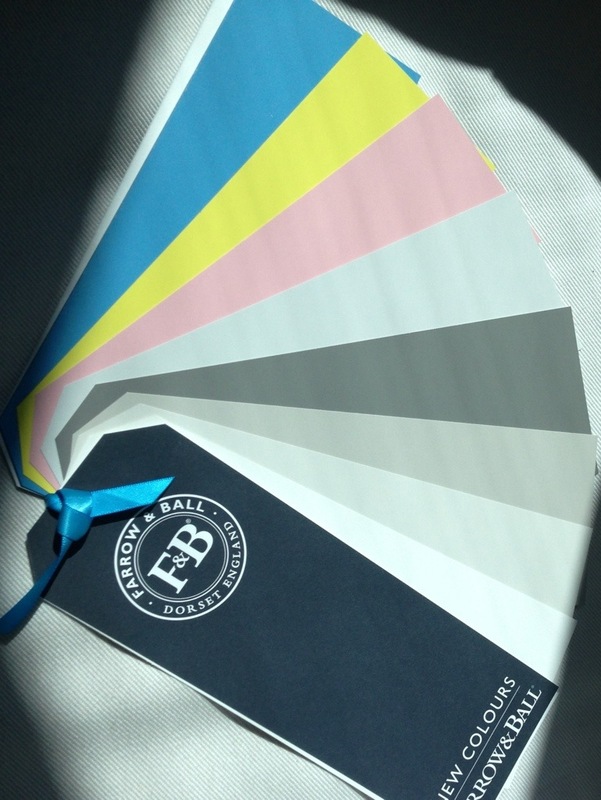 This entry was posted in Uncategorized and tagged designer paint, farrow and ball, new colours by vicawhite. Bookmark the permalink. So, I’ve never stood next to Lady Edith but if I had I’d imagine this would totally outshine that moment. I’m loving the look of Mole’s Breath and Purbeck Stone. Damn them (and damn you for sharing!) because I just did a massive order for the whole house and now my head is being turned! Purbeck would be stunning for an exterior wall. 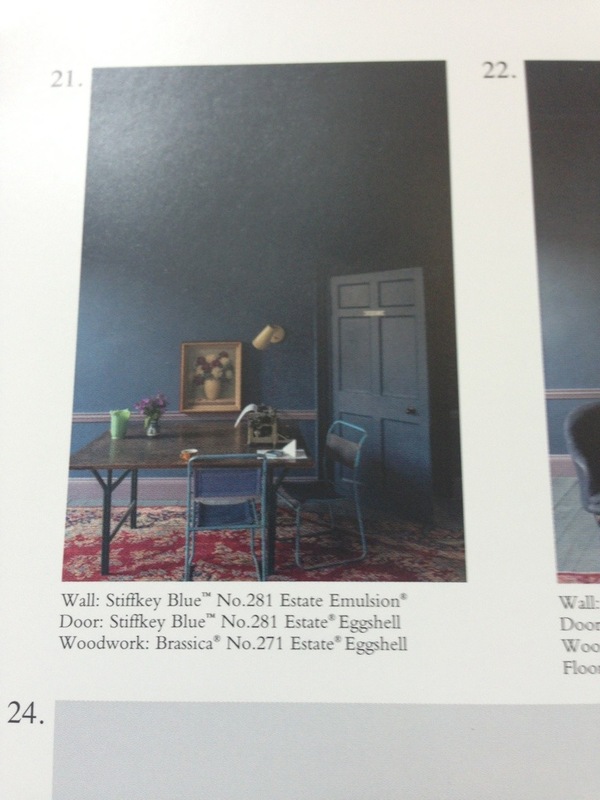 I’m trying very hard not to look at Stiffkey because we’ve just bought Hague Blue for our master bedroom. A year ago I would never have predicted I would have become such a paint geek!! You are the first and only site to have these on-line! I think that I will need Stiffkey Blue somewhere. I was wondering, what is the name of the dark gray, second down from the pink (I assume Nancy’s Blushes)? Thanks so much! Thank you! Can’t wait until they are released. Best.